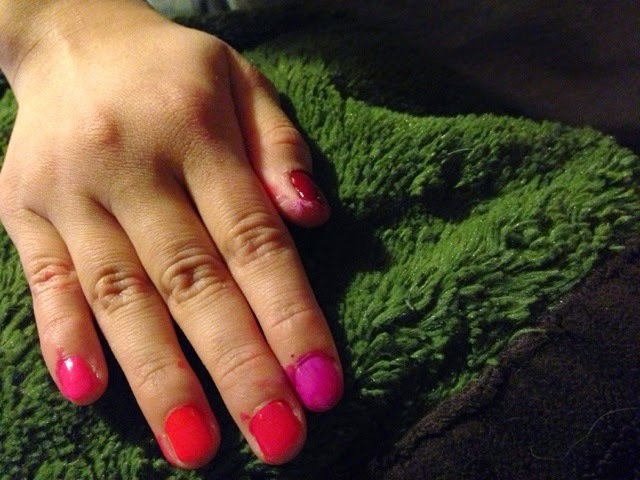 This week's mani Monday is being brought to you by my daughter. She wanted to participate, and did her first mani on her own. What I love about Sally Hansen, is that it is easy to remove, but also lasts a long time, so cleaning up her mani was really easy, and she felt proud of her first time! Sally Hansen sent us the all new Patent Gloss nail polish in Patent, and it was super fun to experiment with. You can see the Patent on her third nail! Very fun color and it DOES look like patent leather (very cool new product). At only $5.99 we love that Sally Hansen is a great way to try a ton of colors and new effects for nails! 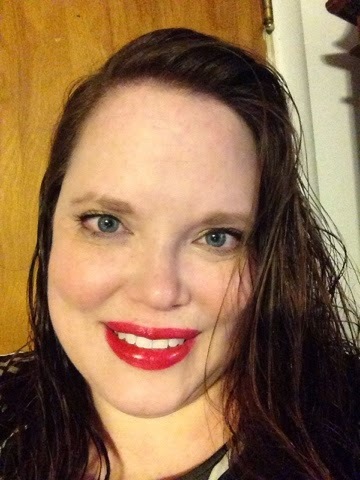 I am also sporting the NYC New York Color Expert Last Lip Lacquer. This lip gloss goes on so well, and lasts really long. I am not usually a fan of red, but it definitely gives me a pop of color on a Monday morning (and it is MUCH needed!). This is the gloss in Big City Berry. At only $3.99 each, it is easy to try out all of the colors! We thank Sally Hansen and NYC for sending us products to review and feature on Mani Monday! MamaBreak did not receive any other type of compensation for this post!